Hypoglycemia in congenital hyperinsulinism (WGI) in children increases the risk of brain damage, seizures and development delay. The aim of our study was to evaluate the clinical manifestations in children with CHI. Hypoglycemia is often manifests with seizures, which are sometimes in the future may lead to the development of epilepsy. Seizures in CHI do not always require a diagnosis of epilepsy and prescription of anticonvulsants. EEG changes in these children may be observed in the absence of epileptic seizures. Developmental delay was more common in children with neurological abnormalities and MRI changes. Children with ABCC8 gene mutations have more complicated for CHI and more prominent developmental delay. Shсhederkina Inna Olegovna – PhD, neurologist, head of neurological Cabinet for children with organic CNS and Mental Disorders Advisory Center Morozov Children’s Clinical Hospital, docent, Neurology, Neurosurgery and Medical Genetics Depertment, Pirogov Russian National Research Medical University. Address: 4 Dobrininsky per., 1|9, Moscow, Russia, 119037. 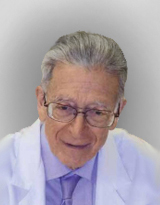 Melikyan Maria Armenakovna – PhD, endocrinologist, senior researcher. Address: Dmitry Ulyanov, 11, Moscow, Russia, 117036. Zavadenko Aleksandra Nikolaevna – PhD, neurologist, assistant of the Neonatology Department. Kozlova Elizaveta Viktorovna – PhD, neurologist. Address: ul. S. Machel, 1, GSP-7, Moscow, Russia, 117997. Zavadenko Nikolaj Nikolaevich – MD, neurologist, Professor, Head of Department of Neurology, Neurosurgery and Medical Genetics, Pirogov Russian National Research Medical University. 1. Zenkov L.R. Clinical epileptology (with elements of Neurophysiology) [Klinicheskaya epileptologiya (s elementami neirofiziologii). (In Russian)]. Moscow. 2002; 416. 2. Kalinin A.P., Kotov S.V., Rudakova T.G. Neurological disorders in endocrine diseases: guidance for doctors. 2nd ed., Rev. and add. [Nevrologicheskie rasstroistva pri endokrinnykh zabolevaniyakh: rukovodstvo dlya vrachei. 2-e izd., pererab. i dop. (In Russian)]. Moscow. 2009; 488. 3. Mukhin K.Y., Rudakov I.G., Bystrov E.K. Journal of Practical. Nevrol. 1997; 3: 188-192. (In Russian). 4. Alpern G.D. Developmental Profile 3, DP-3 Manual. Western Psychological Services. Los Angeles. 2009; 195 p.
5. Asvold B.O., Sand T., Hestad K.A. et al. Quantitative EEG in type 1 diabetic adults with childhood exposure to severe hypoglycaemia: a 16 years follow-up study. Diabetologia. 2011; 54 (9): 2404-2408. 6. Bahi-Buisson N., Rose E., Escande F. Neurological aspects of hyperinsulinism-hyperammonaemia syndrome. Developmental medicine & child neurology. 2008; 50: 945-949. 7. Caraballo R.H., Sakr D., Mozzi M. et al. Symptomatic occipital lobe epilepsy following neonatal hypoglycemia. Pediatr Neurol. 2004; 31: 24-29. 8. Dacou-Voutetakis C., Psychou F., ManiatiChristidis M.M. Persistent hyperinsulinemic hypoglycemia of infancy: Long-term results. Journal of Pediatric Endocrinology and Metabolism. 1998; 11: 131-141. 9. Eeg-Olofsson O. Hypoglycemia and neurological disturbances in children with diabetes mellitus. Acta Paediatrica. 1977; 66 (270): 91-96. 10. Filan P.M., Inder E.I., Cameron F.J. et al. Neonatal hypoglycemia and occipital cerebral injury. J Pediatr. 2006; 148: 552-555. 11. Glaser B., Thornton P.S., Otonkoski T., Junien C. The genetics of neonatal hyperinsulinism. Arch Dis Child. 2000; 82: 79-86. 12. Horev Z., Ipp M., Levey P., Daneman D. Familial hyperinsulinism: successful conservative management. Journal of Pediatrics. 1991; 119: 717-720. 13. Jack M.M., Greer R.M., Thronsett M.J., Walker R.M. Bell J.R., Choong C. et al. The outcome in Australian children with hyperinsulinism of infancy: early extensive surgery in severe cases lowers risk of diabetes. Clinical Endocrinology. 2003; 58: 355-364. 14. Kapoor R.R., Flanagan S.E., James C., Shield J., Ellard S. Hussain K. Hyperinsulinaemic hypoglycaemia. Arch. Dis. Child. 2009; 94: 450-457. 15. Kapoor R.R., James C., Hussain K. Advances in the diagnosis and management of hyperinsulinemic hypoglycemia. Nat Clin Pract Endocrinol Metab. 2009; 5 (2): 101-112. 16. Koivisto M., Blanco-Sequeiros M., Krause U. Neonatal symptomatic and asymptomatic hypoglycaemia: a follow-up study of 151 children. Developmental medicine and child neurology. 1972; 14: 603-614. 17. Kumaran A., Kar S., Kapoor R.R. The clinical problem of hyperinsulinemic hypoglycemia and resultant infantile spasms. Pediatrics. 2010; 126: 1231-1236. 18. Landau H., Perlman M., Meyer S., Isacsohn M., Krausz M., Mayan H. et al. Persistent neonatal hypoglycemia due to hyperinsulinism:medical aspects. Pediatrics. 1982; 70: 440-446. 19. Liimatainen S., Peltola M., Fallah M. et al. Clinical significance of glutamic acid decarboxylase antibodies in patients with epilepsy. Epilepsia. 2010; 51 (5): 760-767. 20. de Lonlay P., Fournet J.C., Touati G. et al. Heterogeneity of persistent hyperinsulinaemic hypoglycaemia. A series of 175 cases. Eur J Pediatr. 2002; 161: 37-48. 21. Mahachklertwattana P., Suprasongsin C., Teeraratkul S., Preeyasombat C. Persistent hyperinsulinemic hypoglycemia of infancy: Long-term outcome following subtotal pancreatectomy. Journal of Pediatric Endocrinology and Metabolism. 2000; 13: 37-44. 22. Menni R., de Lonlay P., Sevin C., Touati G., Peigne C. barbier V. et al. Neurologic outcomes of 90 neonates and infants with persistent hyperinsulinemic hypoglycemia. Pediatrics. 2001; 107: 476-479. 23. Moien-Afshari F., Tellez-Zenteno J.F. Occipital seizures induced by hyperglycemia: a case report and review of literature. Seizure. 2009; 18 (5): 382-385. 24. Murakami Y., Yamashita Y., Matsuishi T. et al. Cranial MRI of neurologically impaired children suffering from neonatal hypoglycaemia. Pediatr Radiol. 1999; 29: 23-27. 25. Palladino A.A., Bennett M.J., Stanley C.A. Hyperinsulinism in infancy and childhood: when an insulin level is not always enough. Ann Biol Clin. (Paris). 2009; 67 (3): 245-254. 26. Rahier J., Guiot Y., Sempoux C. Persistent hyperinsulinaemic hypoglycaemia of infancy: a heterogeneous syndrome unrelated to nesidioblastosis. Arch Dis Child Fetal Neonatal Ed. 2000; 82: 108-112. 27. Stanley C.A., Thornton P.S., Finegold D.N., Sperling M.A. Hypoglycemia in neonates and infants. In M.A. Sperling (Ed.). Pediatric endocrinology (2nd ed.). W.B. Saunders: Philadelphia. 2002; 135-159. 28. Shehaden N., Kassem J., Tchaban I. et al. High incidence of hypoglycemic episodes with neurologic manifestations in children with insulin dependent diabetes mellitus. Pediatr Endocrinol Metab. 1998; 11 (1): 183-187. 29. Soltesz G., Acsadi G. Association between diabetes, severe hypoglycaemia, and electroencephalographic abnormalities. Arch Dis Child. 1989; 64: 992-996. 30. Spitz L., Bhargava R.K., Grant D.B., Leonard J.V. Surgical treatment of hyperglycaemia in infancy and childhood. Archives of diseases in children. 1992; 67: 201-205. 31. Steinkrauss L., Lipman T.H., Hendell C.D. et al. Effects of hypoglycemia on developmental outcome in children with congenital hyperinsulinism. J of Pediatric nursing. 2005; 20 (2): 109-118. 32. Tam E.W.Y., Haeusslein L.A., Ferriero D.M. Hypoglycemia is associated with increased risk for brain injury and adverse neurodevelopmental outcome in neonates at risk for encephalopathy. J Pediatr. 2012; 161 (1): 88-93. 33. Thomas C.G., Cuenca R.E., Azizkhan R.G. Underwood, L.E., Carney C.N. Changing concept of islet cell dysplasia in neonatal and infantile hyperinsulinism. World Journal of surgery. 1988; 12: 598-609. 34. Wonga D.S.T., Poskittb K.J., Chaua V. et al. Brain injury in hypoglycemia in neonatal encephalopathy. J Pediatr. 2013; 34: 1456-1461.